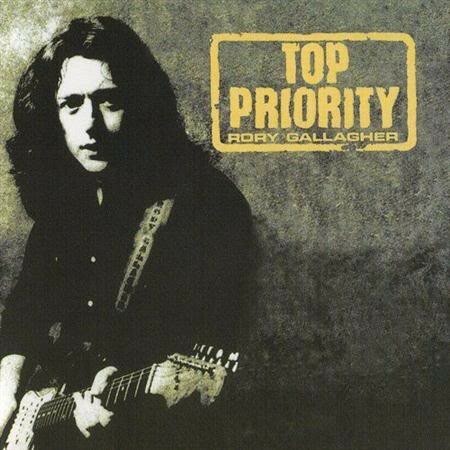 Five Rory Gallagher album re-issues. After the phenomenal ‘Irish Tour 74’ live album, Rory had truly put his mark on the guitar world and was now in a position to capitalise on his success. 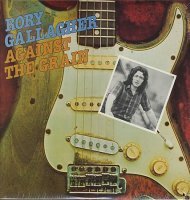 ‘Against The Grain’ released in 1975, showed there was more to this musician than just being a damn fine blues guitarist. Sure, ‘Souped-Up Ford’ is little more than a glorified jam session, but the wonderful shuffle of ‘Cross Me Off Your List’ has an almost jazzy style. Each song was to explore new territory - who can forget his version of Leadbelly’s ‘Out On The Western Plain’ or the beautiful and melancholy ‘Ain’t Too Good’, a song that just tugs on your heart strings. Rory’s guitar was always an extension of himself and he could take it anywhere he wanted, from the soul leanings of ‘I Take What I Want’ to the bar room boogie of bonus track ‘Cluney Blues’. 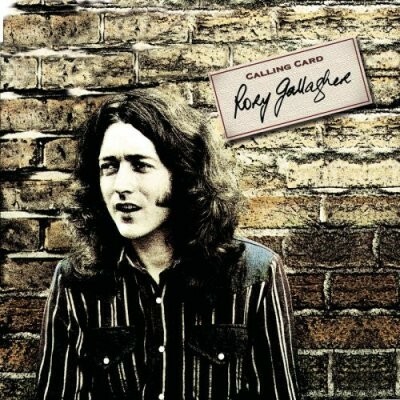 With the release of ‘Calling Card’ Rory could use just a drum beat and a guitar lick and produce a statement of musical simplicity in ‘Do You Read Me’. You cannot help but wonder what he would have brought to Deep Purple when he was short listed for Richie Blackmores’ job and this song would have fitted latter day ‘Purple’ perfectly. In fact the Deep Purple connection extended in the use of former bass player Roger Glover as producer, the only time Rory used a named producer. Lou Martino adds some energetic piano to ‘Country Mile’ as it races along, while the southern flavoured ‘Moonchild’ was to become a live favourite for many years to come. This was also to be the last album featuring drummer Rod De’Ath and keyboard player Lou Martino. 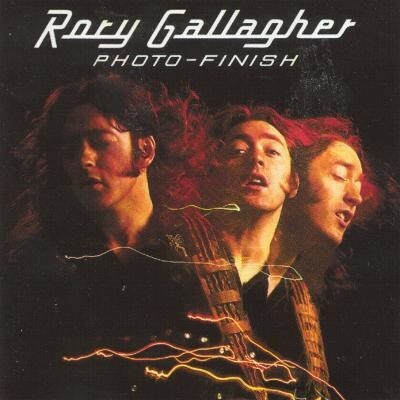 Despite disco and punk fighting for dominance in 1978, Rory ignored it all and produced what is considered one of his finest albums with ‘Photo-Finish’. Both ‘Shin Kicker’ and ‘Brute Force & Ignorance’ are pumped full of attitude and grittiness and displayed a tougher side to Rory’s writing, as did ‘Cloak & Dagger’ with its creeping guitar lick. For many, like myself, the classic ‘Shadow Play’ was my introduction to Rory Gallagher as it blasted from many a rock disco as dandruff flew through the air,and we all shouted out the line ‘A Little Doctor Jekyll A Little Mr Hyde’. ‘Last Of The Independents’ is a thumping rocker that would not be out of place at a 4th of July barn dance. Bonus track ‘Early Warning’ is a two chord burst of energy and a nice addition to the release. Decisive and powerful come to mind with the release of ’Top Priority’, which boasted later day classics such as ‘Follow Me’, ‘Wayward Child’ and ‘Bad Penny’. There was a true confidence in the writing and despite never letting go of his blues influence, Rory was in no doubt aware of the rise of the heavy metal scene and how he had to keep up with the times. The aggression in his voice on ‘Philby’ and the no nonsense guitar riff could stand up against the best that the new wave scene had to offer, and it was clear he had no fears about stepping out of his comfort zone. There were no acoustic offerings this time but who cares when you have such a strong set of fiery numbers. Both bonus songs ‘Hell Cat’ and ‘The Watcher’ are quality, no nonsense additions to the catalogue also. 1982’s ‘Jinx’ is an often overlooked release for some reason, and though it may offer less of what can be considered classic Rory Gallagher, it has its merits (and also a few surprises!) ‘Signals’ could have been recorded by Dire Straits or Elvis Costello in my opinion and the guitar heroics are kept to a bare minimum as the song is allowed to speak for itself. Some of the tracks such as ‘The Devil Made Me Do It’ and ‘Bourbon’ are just standard blues/rock throw aways. However, the slow moments of ‘Double Vision’ and ‘Easy Come Easy Go’ have Rory and his guitar becoming a thing of beauty before he blasts off with the staccato riff of ‘Big Guns’.